Fortune Telling understand your destiny code. Fortune Telling provides an overview of various aspects of your life and make one understand his or her destiny code. Singapore Feng Shui Master / Geomancer. Feng shui is not about buying good luck items. 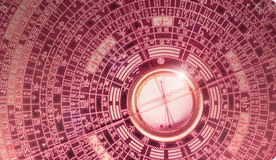 Time & Date selection is one of the most important factors in FengShui. Taking control of one's destiny and discover one's future. From the day we were born into the world, each of us are predestined or prearranged with this special code of destiny that influences various parts of our life. Some believe that it actually account for more than 40%. Can one be able to create a new destiny or change one's fate and take control of one's life? Some believe that our destiny is not predestined and can be changed. How true it is? We want to be master of our own destiny, and believe that if we try hard enough, we can be just anything we want. But can it really happen or is it just that we are not trying hard enough? These Life Readings give an accurate description of a person's life according to the year, month, day and hour of birth. Beside one's personality, it also reveals individual strengths and weaknesses that may be applied to career choices and other major life decision. Analysis of directional flow of energy and how it affects the structures in which we live and work. All stars will distribute on the chart according base on your house facing direction. 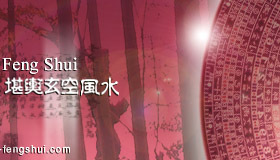 Identify your personal favorable and unfavorable directions and locations with Eight Mansions School of Feng Shui. Day and Time Selection based on Chinese Almanac / Tong Shu / Tong Sheng. I'm seriously thinking of hiring a Feng Shui consultant to my place. What I'm afraid of is they will ask me to place items that are too oriental. Each hexagram is made-up of two trigrams, the elemental names of each trigram are given at the start of each row (bottom trigram) and at the top of each column (top trigram). - Copyright © www.art-of-fengshui.com. All rights reserved. 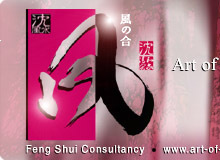 Art of Feng Shui Consultancy and Services.